Washington, DC has the highest proportion of college graduates of any metro area, is home to 20 colleges and universities, and has the highest-educated adult population in the country. DC can offer Amazon a deep labor pool, strong university programs, and a vibrant technology and STEM sector. The Federal Government remains a stabilizing factor as the largest job provider in the District, and the professional services sector is the number one private sector industry in Washington, DC, employing more than 116,000 employees. Well over eight thousand jobs in this sector – including computer systems design and technical consulting – were gained each quarter in the District for the past several years. As the Federal Government’s headquarters affirms Washington, DC’s position as a global powerhouse, the core of the city continues to rapidly diversify, with nearly all job growth occurring in the private sector since 2010. Private sector jobs account for 70% of all jobs in Washington, DC, and the total workforce increased by 10% over the last ten years. The city is at the center of an expansive regional economy, supporting more than 3.3 million jobs; DC’s daytime population expands to more than one million people, with more than 300,000 workers commuting in from the metropolitan region. This stable, business-friendly environment has attracted top-tier talent across all sectors in Washington, DC. Employees in the DC-area earn competitive compensation compared to the US as a whole, including both urban and rural areas. Competition for tech jobs, however, has taken on a different dynamic in DC than the rest of the country; Indeed.com’s Hiring Lab found that among the US “tech hub” cities, a lower proportion of tech jobs are higher-paying in DC because a greater share of them are in government-related jobs. Source: Census Current Population Survey, Annual Social and Economic Supplement, 2017. Includes all Adult Civilian Persons. It is not just students, technology workers, and trained professionals that feed DC's strong talent pool. Greater Washington is one of the top metropolitan areas in the nation for executive talents, with other 76 people filling managerial roles for every one thousand employees. The 235,000 people in those occupations include chief executives, computer and information systems managers, and human resource managers. More than 40,000 accountants and auditors work in the metro area, and over 300,000 people fill roles within business and financial operations occupations. Of the big four accounting firms (KPMG, Deloitte, PricewaterhouseCoopers, and Ernst and Young), each have a major office in the area. DC's top 50 accounting firms employ 24,000 professionals while the headquarters of many government agencies account for a large accounting and administrative staff. We were founded in Seattle, and chose to establish a second base in Washington, DC because the city provides the right combination of millennial talent, progressive social atmosphere, and proximity to major metropolitan areas where we do business. We have found the business climate to be extremely favorable to growth, and the intersection of government and industry makes Washington, DC the right place to understand, adapt to, and influence policy. The federal government and private sector are known for attracting top legal talent; Washington, DC has nine times more lawyers per capita than NEw York City. DC is the top location for the legal profession in the US; practicing lawyers comprise 45 of every thousand jobs in DC, while 55 of every thousand jobs in DC are in the legal occupation. The largest hundred law firms in DC have a collective of 13,700 lawyers based in the Washington-metro area. 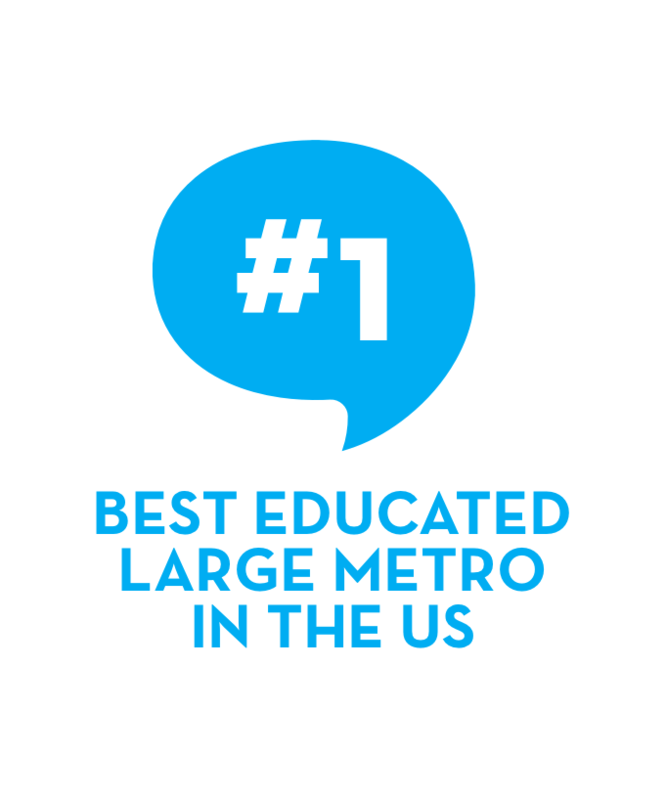 Proximity to major clients and Capitol Hill, quality of life, prestige of a DC-based address, and the presence of a highly-educated population contribute to DC's ranking as the top destination for new graduates and establish professionals alike. The city's pipeline into higher education attracts from local residents as well as national and international students looking to attend top universities. Likewise, graduates and postgraduates from the top 20 universities throughout the US disproportionately end up in DC to launch their careers; the metro area attracts more than four times the concentration of graduates from top schools, compared to the nationwide concentration of enrollment in those schools. Most top universities also have "Semesters in Washington DC" programs, which provides Amazon access to talent from a variety of universities and backgrounds. Several highly-ranked universities have satellite campuses located in Washington, DC, including New York University (NYU), University of Virginia, Johns Hopkins, and Darden's recently opened Executive MBA program office. Washington, DC is home to the third highest concentration of educational institutions in the US, with many local and regional universities ranking among the US News and World Report’s top 100 colleges. People come to DC for the jobs and stay for the community. 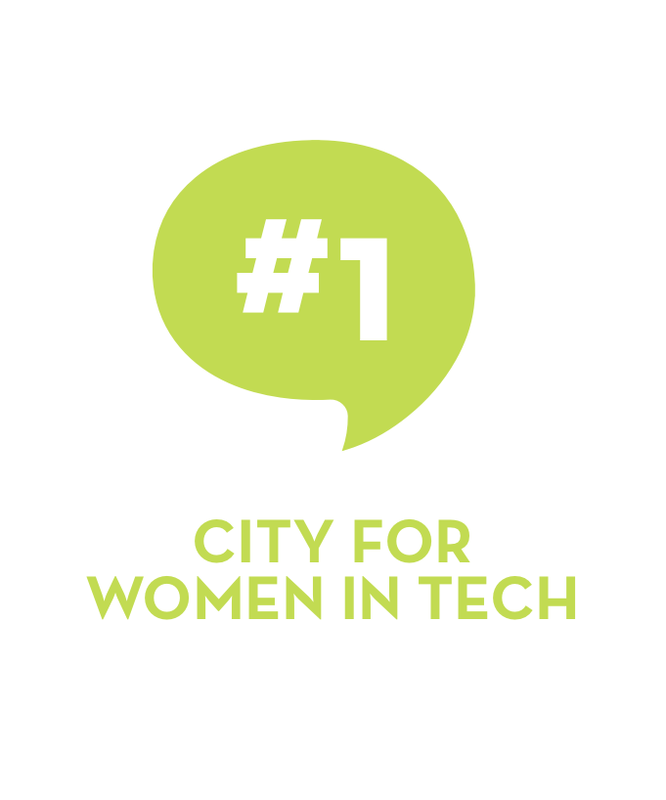 For the past three years, DC has been named the best place for women in tech by SmartAsset. Though Washington, DC is typically stereotyped as a hub for humanities and law students, 52% of DC-resident college graduates have degrees (bachelors or higher) in science, engineering, or related fields. This is particularly true among the residents between the ages of 25 to 39. Within this age group, DC leads other major US cities for the proportion of 4-year degree-holders who graduated in scientific fields. Technology is a major driver of employment and innovation in DC. In July 2017, Washington was ranked by CBRE as the fourth most talented city in technology. In 2017, the DC and Baltimore metro areas were ranked second and third, respectively, among major cities with the highest concentration of local job postings in tech, according to Indeed Hiring Lab. And DC’s share of tech jobs is growing at a faster rate than any other tech hub except Seattle. According to the Census Bureau’s classifications, the technology sector accounts for 31,000 jobs in DC, a figure that underestimates the influence of the industry, given that technology is also an important part of other industries such as consulting and life sciences. Historically, the Federal Government has attracted information and communications technology businesses to the DC area, supporting the hardware, software, and data needs of Federal agencies. The National Security Agency Cyber Command sits right outside of Washington in neighboring Fort Meade, Md. Many of the largest Federal Government technology contractors, including Lockheed Martin, Northrop Grumman, Boeing, Raytheon, Booz Allen Hamilton, Accenture, Leidos, and Palantir are based in the DC area, amassing a substantial technology workforce in the area. Fueled by a large federal client base, the DC metro region is an epicenter for cybersecurity and other security technologies, cloud computing, and digital services. Outside of federal technology, DC also supports large business-to-business (B2B) technology companies that service other markets including Blackboard, a supplier of software and services for higher education, and HelloWallet, an enterprise provider of workplace financial wellness benefits. The DC area continues its climb in nationwide rankings as a tech hub, growing jobs in the sector by more than 50% in the last decade and attracting numerous established tech companies and startups, including Yelp, Optoro, Social Tables, and Opower. Washington, DC is a natural place for Yelp’s next office, offering a vibrant local community and access to top-tier talent. The city’s burgeoning technology sector is a welcoming setting for Yelp as we focus on building the best technical products to connect people with great local businesses. Foster the most inclusive culture among tech ecosystems on the East Coast. The Inclusive Innovation Incubator (In3). 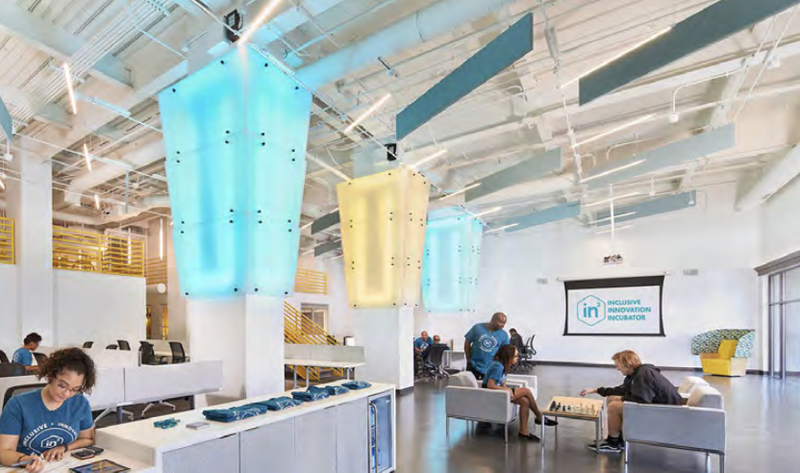 Opened in April 2017, In3 is the District's first community space dedicated to inclusion, innovation, and incubation, made possible through a private-public partnership with the District Government, Howard University, and Cisco. Other programs outlined include code training and job experience for underrepresented residents, expanding tech firm participation in the District's Marion S. Barry Summer Youth Employment Program, and launching a new program to partner local tech employers with universities. The #DCTech community is one of the largest in the world, with more than 21,000 members. DC’s tech scene offers hundreds of events monthly for aspiring technologists and entrepreneurs, ranging from casual happy hours and coding workshops to speaker series and intensive weekend hackathon events. Local #DCTech groups focus on diversity and inclusion. These community groups cultivate tech talent providing accessible ways for residents to explore technology and meet local tech leaders. More than 70 co-working spaces provide flex space for emerging and established entrepreneurs and technologists to hone, develop, market, and exchange ideas, including Cove, WeWork, and Impact Hub. and talent has accelerated rapid growth of the tech sector. Our vision is a global community of individuals empowered to pursue work they love through best-in-class instruction, access to opportunities, and through our global network. GA is confronting a skills gap by creating a diverse talent pipeline for today’s most in-demand careers. One in five women in the US is a Latina, and Washington, DC is one of the ten fastest-growing states for women-owned businesses. In the last 10 years, Latina-owned businesses in the US increased by 137%. MET Community supports these women entrepreneurs through sustainable, responsible, and innovative female entrepreneurship through training, mentorship, and networking. Throughout Washington, DC, several coding and learning experience academies provide training for in-demand fields including coding, UX/UI design, data analytics, marketing, and business skills. Collectively, these coding academies have served tens of thousands of students and professionals. At DC’s General Assembly location, 800 students have completed its Web Development Immersive, User Experience Design Immersive, and Data Science Immersive programs. More than 2,600 students have taken part-time evening courses in web development, digital marketing, data analytics, and user experience design, and more than 13,000 have taken classes and workshops to gain technical skills. The vast majority of these training providers partner with companies and offer customized staff training and a dedicated hiring pipeline to their alumni. Coding Dojo recently partnered with Amazon to run a series of workshops to educate developers on how to build an Alexa skill, and get it certified for publication on Amazon. Howard University is a leader in producing Black STEM PhDs. BSSP is designed to attract and prepare high achieving high school students interested in studying in a STEM-related discipline in pursuit of a PhD or a MD/PhD. Howard University partnered with Google to launch Howard West, a 3-month summer Computer Science residency for rising juniors and seniors in the university’s Computer Science program. Howard and Google’s longstanding partnership with the Google in Residence (GIR) program was the foundation for Howard West. The residency includes a dedicated workspace on Google’s Mountain View campus. Enlightened, Inc., a local cybersecurity firm, recently donated $200,000 to set up the Cybersecurity Education and Research Center (CERC) at Howard University. The center aims to create the region’s premier education center for workforce development, executive training and research in Cybersecurity. DC is the first “Lighthouse City” in the US, part of a Cisco initiative to pioneer smart city infrastructure through pilot programs and government partnerships. As part of this partnership, Cisco will open two new coding academies at DC Public Schools in FY17 and will continue to work with DC Government to pioneer IoT and smart city solutions such as Pennsylvania Avenue 2040. On-Ramps to Careers is a non-profit business-education partnership that encourages youth and young adults to pursue IT education and careers. Summer intern participants are paid through DC Government’s Marion Barry Summer Youth Employment Program and corporate partners include AT&T, Microsoft, Accenture, and others. The District Government partnered with Fiscal Note, a local startup that uses artificial intelligence and big data to deliver predictive analytics of governmental action, to provide at least 100 DC residents with high school and adult training, internships, and apprenticeships. Opportunity@Work: Opportunity@Work is a local non-profit partnering with General Assembly to offer a 14-week web development training program for students who are typically underrepresented in the tech community and otherwise unable to afford training. Accepted students have 100% of their training costs financed and receive $2,000 each month for living expenses. In return, students agree to pay a portion of their income after training and landing a job. Greater Washington Works is a partnership between JP Morgan Chase and the Community Foundation for the National Capital Region to provide $1 million in grants to support new investments in the regional industry sector partnerships in IT/cybersecurity and healthcare. The first grant funds have been disbursed to Byte Back and So Others Might Eat (SOME). Byte Back is a local non-profit that provides free computer and advanced IT certification classes. Byte Back’s programs have provided a pathway to technology skill development and fulfilling living-wage careers for thousands of individuals who have struggled with underemployment, unemployment, and poverty. The Peace Tech Accelerator empowers entrepreneurs to create startups that support Peace Tech Lab’s ambitious mission to reduce violent conflicts around the world using technology, media, and data.